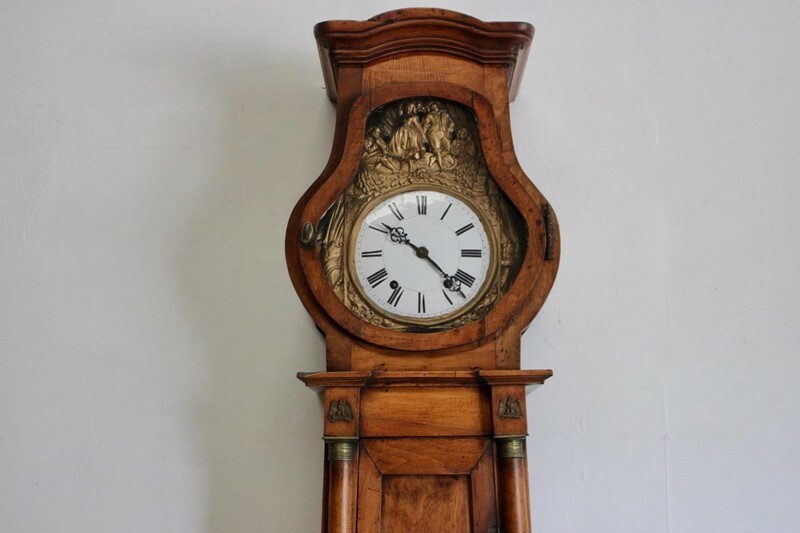 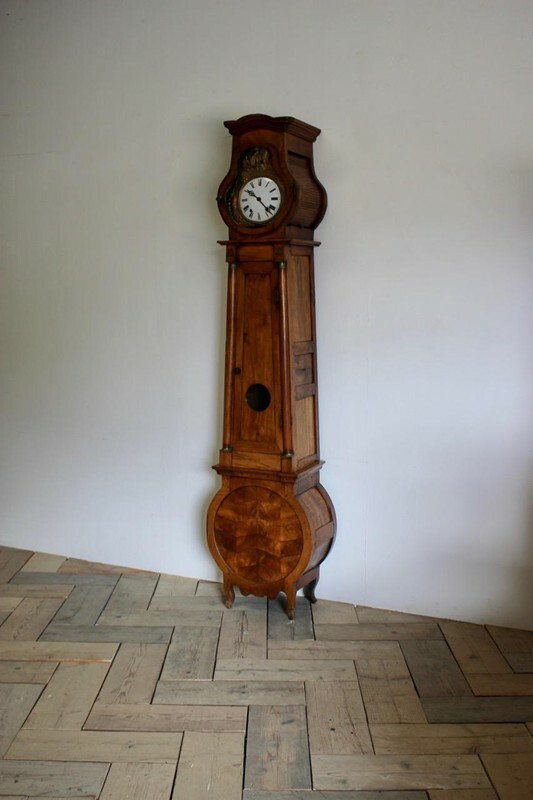 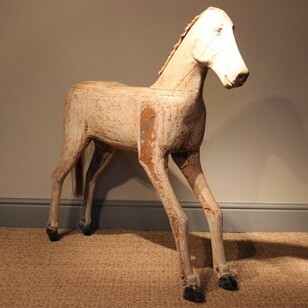 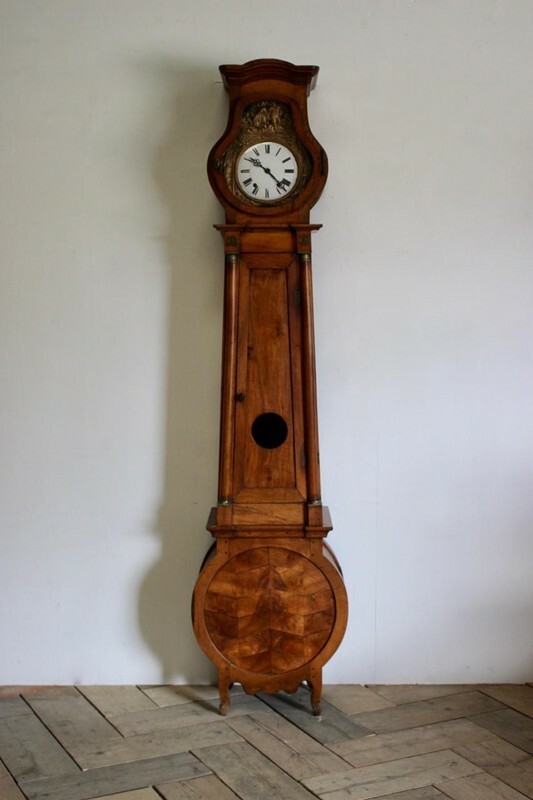 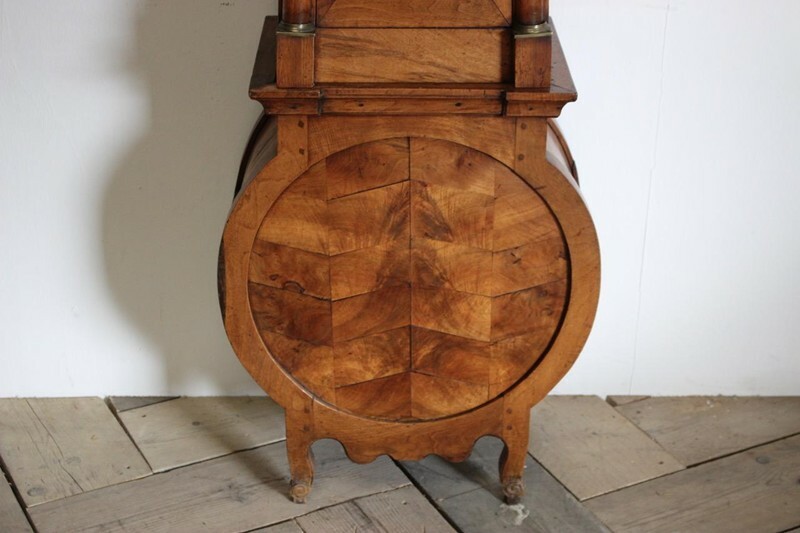 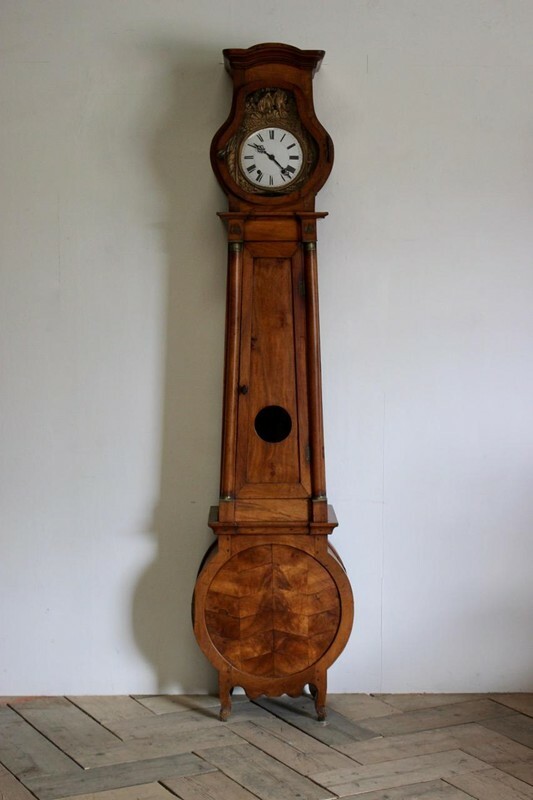 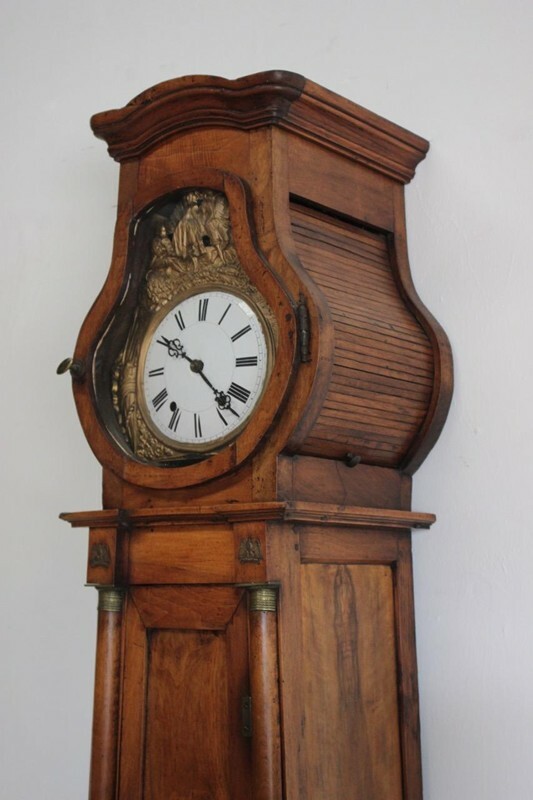 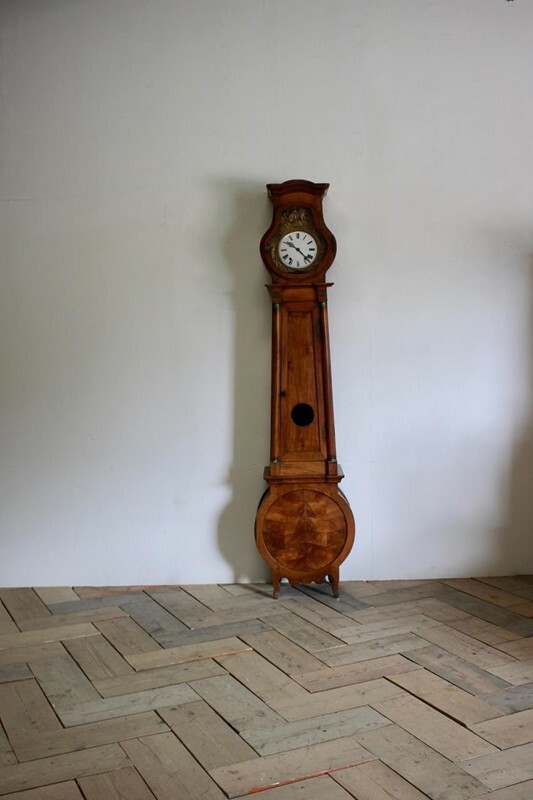 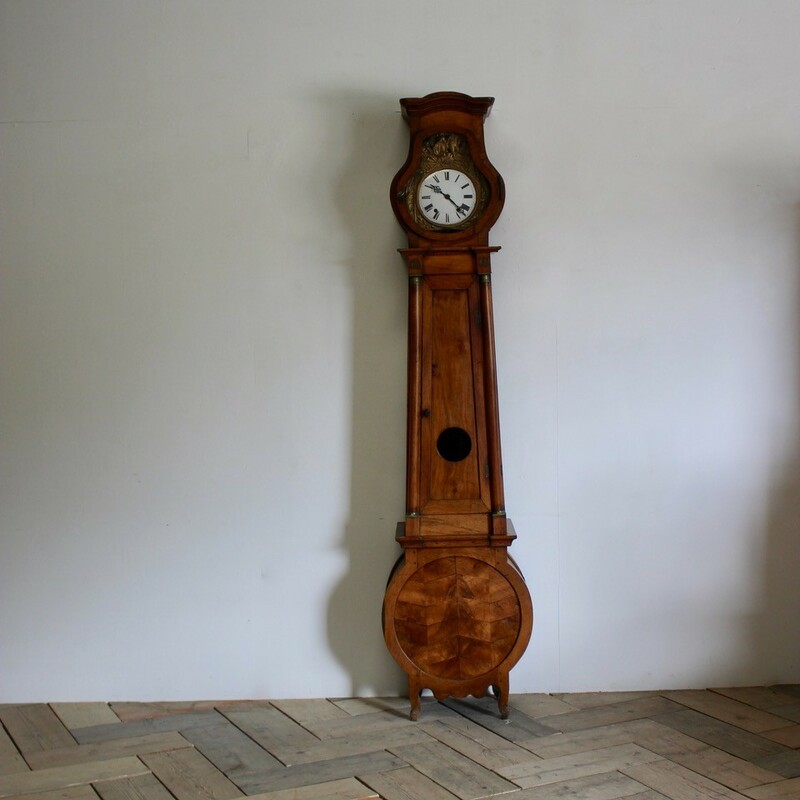 A very elegant and with an unusual case, early 19th century French long case clock in walnut of large proportions and with a lovely colour that will make a statement in most settings. 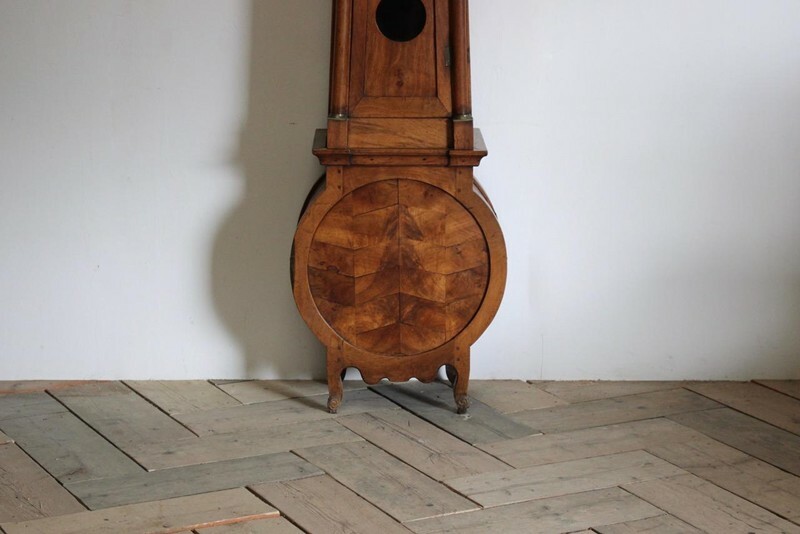 Pendulum key and weights supplied. 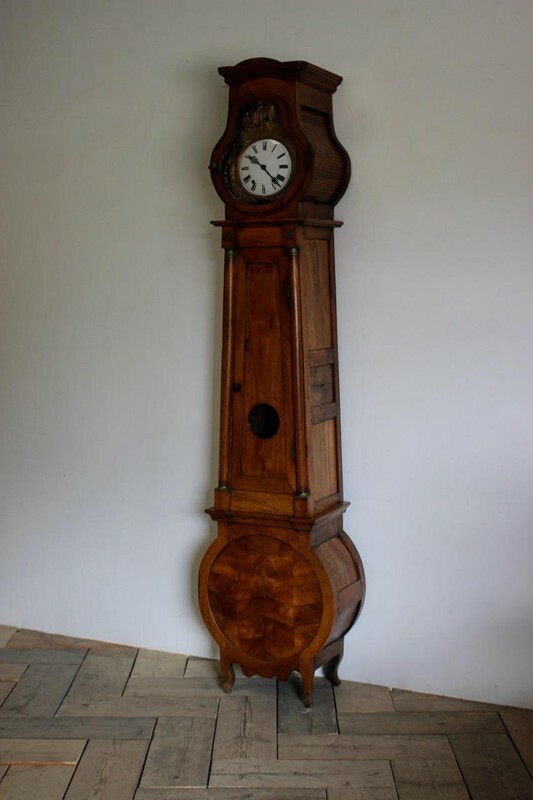 We do not guarantee the functionality of the clock. 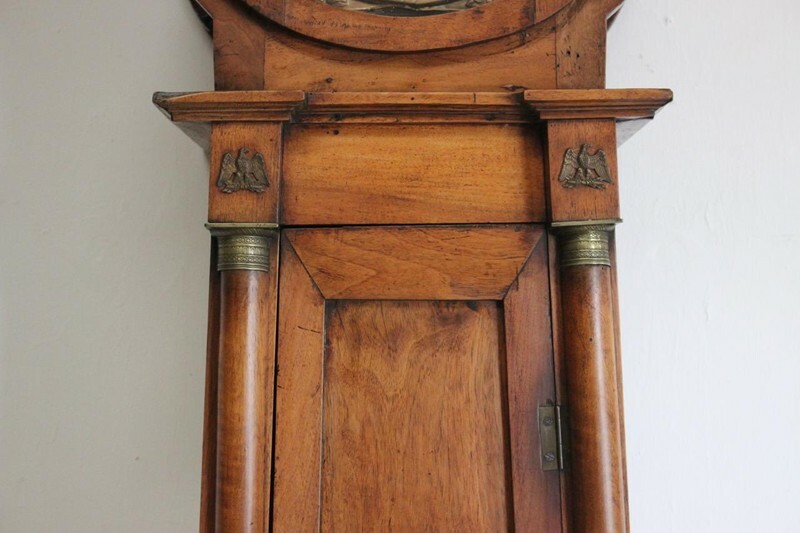 The clock is sold as seen, but it would only need an overhaul, with we can provided.